Kanoodle use Camba cams and social media to catch some crims. Last week a couple of lads staggered past the front of their restaurant at 5am. The lads stopped, looked up and down the street, talked to each other, then staggered back to the front of the restaurant. Their plan was clear, they were hungry and wanted to eat the plastic bowls of noodles in the Kanoodle signage to satisfy their middle-of-the-night munchies. Or they just wanted to rob the sign to complete the collection of stop signs and traffic cones that adorn their bedroom wall. After five or so minutes they eventually manage to rip the sign down – and take some lighting fixtures along with it. 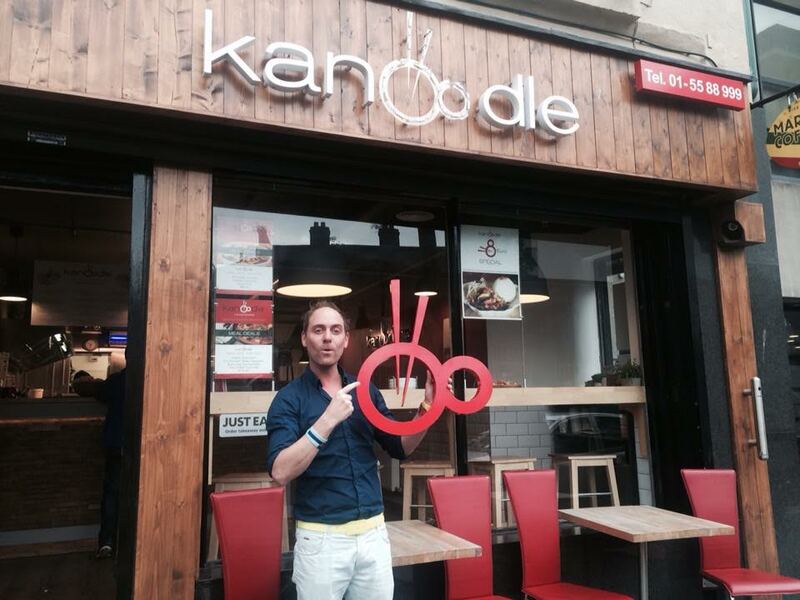 Paddy and Jamie, owners of Kan–dle were understandably furious. They’d have to sell a lot of bowls of ndles to pay for fixing their store front. So Paddy went to his Camba.tv console and watched over his footage – sure enough he saw the boys vandalising his property. He then exported the video file and shared it on his Facebook page (which is not something we recommend doing btw). He asked his followers and friends if they recognised the perpetrators, and after a few hours someone piped up and sent a private message to Paddy with the name of the vandal. Paddy then contacted the person who was embarrassed at his drunken stupidity and agreed to return the sign and pay for any damages. A very happy Jamie with the returned sign. Defacing signs is never funny. I rather like their coffee actually. Well that’s kind of smart. You’d wanna be trippin’ to think that’s funny. I hear you wont go back.